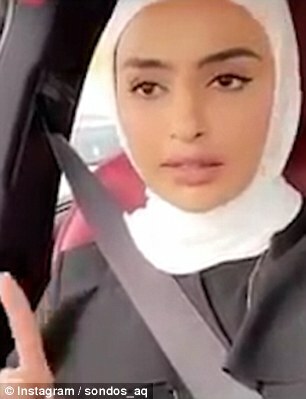 She is facing a storm of criticism for her comments, including from Migrante International, an advocacy group for overseas Filipino workers, which likened Alqattan’s comments to those of “a slave owner”, and said she was clinging “to a backward outlook which literally belongs to the dark ages”. Critics are pushing for Alqattan’s sponsors to drop lucrative endorsement deals following her comments, which cap months of diplomatic controversy between the Philippines and Kuwait over the Gulf nation’s treatment of domestic workers. In April, tensions increased after the Philippine ministry of foreign affairs released a video showing officials rescuing citizens from Kuwaiti employers accused of abuse. Kuwait later expelled the Philippine ambassador, Renato Villa, as well as withdrawing its own from Manila. The Philippine president, Rodrigo Duterte, asked the estimated 276,000 Filipino workers in Kuwait to return home, appealing to “their sense of patriotism” and offering free flights for the 10,000 estimated to have overstayed their visas. The two countries signed an agreement in May to soothe tensions over labour rights for OFWs, after Philippine authorities demanded that Kuwaiti recruitment offices pay a $10,000 (£7,600) deposit to compensate workers whose salaries were withheld or contracts suddenly terminated. Roughly 660,000 people out of Kuwait’s population of 4 million are domestic migrant workers. According to Human Rights Watch, the country’s “kafala” system, which gives employers extensive powers over migrant workers, often forces them to remain with abusive bosses, while those who flee can be punished and imprisoned.